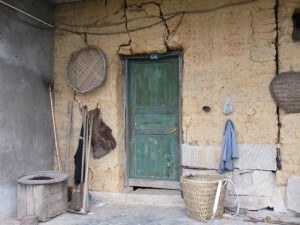 Scratching a living: China reality. There is a restaurant near my home in Jiangbei District, Chongqing. Cai Gen Xiang is its name. This is where I drop in for a cup of tea and a chat after a long walk along the banks of the Jialing River. A river which has its source on the Tibetan Plateau, and which joins the famous Yangtze at Chaotianmen in downtown Chongqing a few kilometres further downstream. The young folk who wait on the tables (fuwuyuan) have an average age of 19 years, and come from the poorer, rural areas of the Chongqing municipality. They sleep in a crowded dormitory on the premises, work seven days a week with a few hours off each day during slack periods, and earn about 500 yuan ($100) per month. They are a contented happy bunch. Although their working conditions are poor, life in the big city is better than the place they came from. No complaining, dissatisfied workers here. Chinese people have this gift for the acceptance of reality, and for making the best of circumstances. Although Big Brother is big in China, he doesn’t lend a helping hand. You are on your own. And when you are on your own, family is all you have. Cai Gen Xian is a surrogate family for these young migrants from the countryside who hope for a share in China’s new-found prosperity. Life is harder back home. Hopeless even. 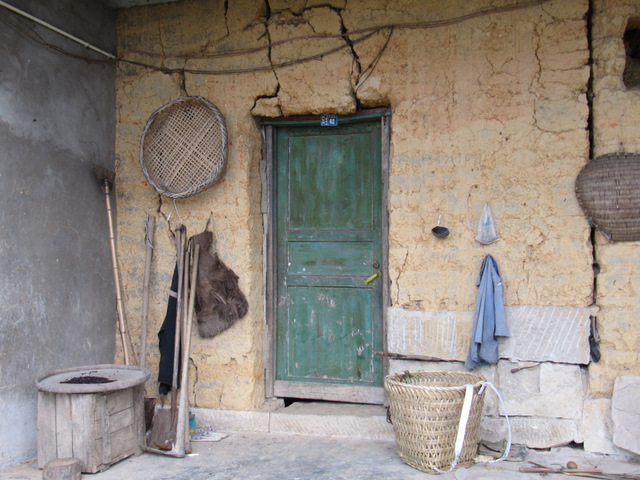 Home is a cluster of mud or brick dwellings shaded by a bamboo grove in one of the thousands of gullies hidden among the fertile green hills of rural Chongqing. No wide-open spaces here. Half-hidden, centuries old rice-paddies shape the small valley floors as they contour themselves around the jutting spurs and ridges of a ruffled topography towards a whispering stream somewhere lower down. Later, that stream will find its way to the Yangtze River. Every stream in this part of China does. Fruit trees and vegetable plots cling to the hillsides in narrow gardens hoed from the steep stony sides of ridges which have seen so many generations come and go below. Small plots containing a little topsoil stolen from the mountain, buttressed by stone retaining walls, can make the difference between hard times or not in a lean year. This is not farming. This is intensive gardening. This really is ‘scratching for a living’. It is always misty in these green gullies and valleys. And from a distance this rural environment looks so homely and romantic. The rural idyll of peace if not prosperity, and a life lived according to the rhythms and rules of mother nature. Up-close reality is not so romantic, however. The dwellings are generally dark, depressing places. No pictures on the grubby walls, and no covering for an earthen or concrete floor. Too few windows. And everywhere, the strong sickening smell of ammonia. Everything is re-cycled in China. Everything. One reason why the crops look better than they should. The fuwuyuan want a better life. The young ladies want nice clothes, a little money in their pockets, and a boyfriend they can choose for themselves. The young men have their dreams also. Dreams which can never be fulfilled if they stay home and till the soil. Subsistance farming is a dead-end life. 800 million Chinese peasants would probably agree.